This statistic illustrates the approximate spend on paid media content or services in Italy in 2014. 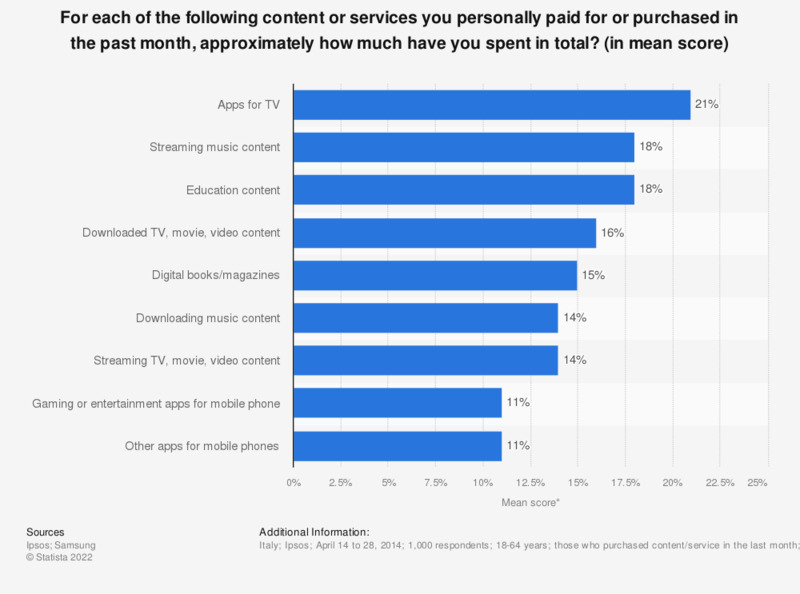 The most money was spent on apps for TV with a mean score of 21. * Mean score (excluding Don't Know): Less than 6€ (3); 6€ up to 12€ (9); Over 12€ up to 24€ (18); Over 24€ up to 36€ (30).